Is your diesel truck ready for the Winter? Winter is coming. Is your diesel truck ready? Have you found yourself getting stuck with cold start problems, fuel gelling issues, or poor engine performance in past winters? 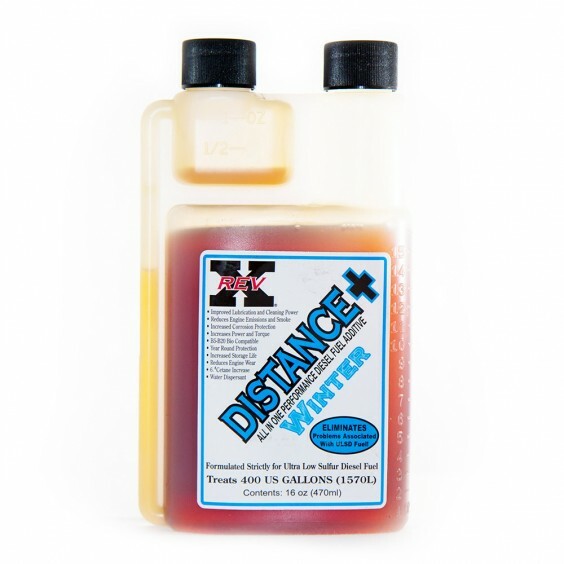 Stock up on Distance+ Winter Fuel Additive for this year’s season. Distance+ Winter Fuel Additive was developed & tested in the harshest regions of the country, so you can count on RevX’s Winter Fuel Additive to do the trick. If you’re looking for a proven product with plenty of real world experience for your diesel truck in extreme cold weather operation, look no further than the REVX DISTANCE+ WINTER Fuel Additive. This entry was posted in Products, Seasonal by East Coast Diesel. Bookmark the permalink.